• Produce high quality unique trade show and point of sale displays, environmental decor, fashion and sportswear. 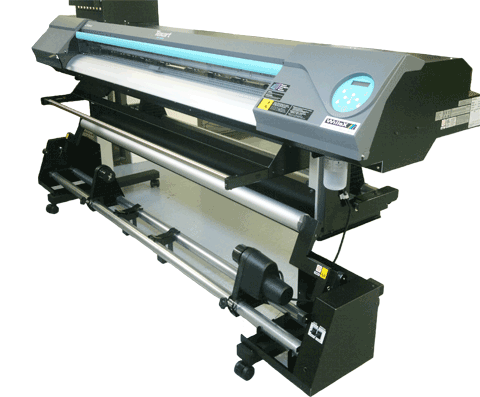 • Deliver stunning vibrant graphics with either the 4 head or the 180 nozzles of the 8 head configuration capable of producing 7 different droplet sizes for smoother gradations and denser colour. • Its enhance feed adjuster in combination with its TU-3 take up system supports unattended operation. You get the best media feed and tracking that can even be controlled from your remote iPad. 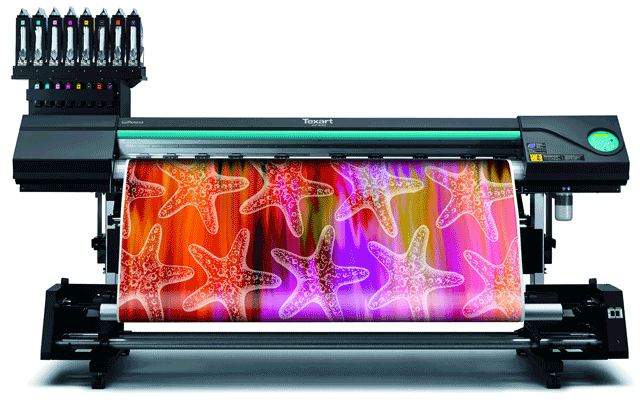 • Exceptional sublimation performance and top value. 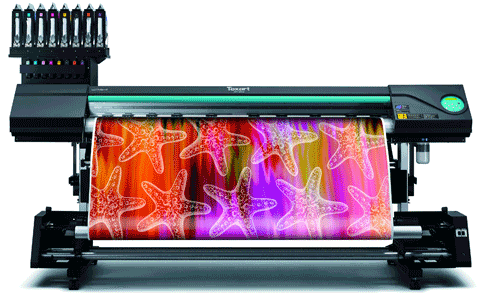 Uses the new TEXART SBL3 vivid colour dye sublimation inks. You can choose from either Dual CMYK or CMYKLcLmOrVi configurations. Maximum speed is 351 sqft/hour. The advanced feed adjuster gives you highly stable unattended printing when used with the integrated bulk ink system. Two year warranty and Willox factory trained real world installation and service.